When calculating the amount of concrete required, we recommend adding an extra 5-10% onto your total estimate to allow for possible errors as well as spillage or over excavation / uneven surfaces. Ready mix concrete can be prepared for use in rapid time. This means we can mix it on site. It also means that you’ll only be paying for an exact amount of concrete. Need a bit more concrete? Before you know it you’ll have more. And not only that, you won’t have any waste concrete leftover at the end. Unlike some national companies that struggle with bureaucracy, we can get concrete to you in a fast and efficient manner. Is your building site large? Does it have narrow access? Are there several areas of the building that need concrete? If so, our wheelbarrowing service is what you need. Pumps don’t always reach as far as you need them, but our wheelbarrowing just keeps going and going. We’ve got the answer thanks to our large range of pumps. From the boomless minipump to larger boom pumps up to 47 metres in length and in-between, we have a wide range of machines from which you can choose. At Spot On Concrete, we provided the highest quality service we possibly can to our customers. 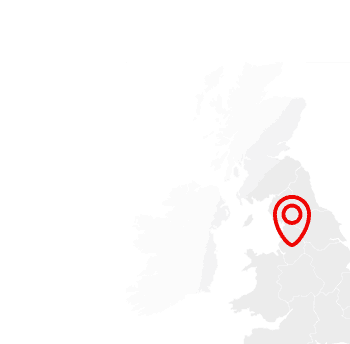 Serving West Yorkshire in places such as: Halifax, Leeds, Wakefield, Bradford and Huddersfield, we offer Ready Mix Concrete, Concrete Pumping, Concrete Blocks, Floor Screed and Wheelbarrowing services. From major construction projects to smaller residential projects, our quality assured company are capable of providing concrete to the job where the use of concrete is necessary. Even out of hours or on weekends, Spot On Concrete can do their upmost to supply the concrete that you require. Feel free to take a look through our website and discover more about the services that we offer. We are also proud that we are a quality assured company accredited by the BSI (British Standard Institute) to Kitemark certification standard. In the North East, we are the only volumetric concrete supplier to have achieved BSEN206, BS8500-1 and BS800-2 accreditation including ISO9001 and Constructionline certification. Every 6 months we are audited to confirm our exceptional high standards of concrete and customer service are being contained. On top of this, our entire fleet of volumetric concrete mixers are calibrated every 6 weeks to ensure the concrete is ‘Spot On’! At Spot On, we promise to keep these standards to ensure our customers with the best service we can possibly give them and to stay consistent as a company. If you are intrigued by our services and would like to request a quote, then click the button at the top to request a quote free with us today! If you would like to alternatively call us, then feel free to call us on 01422 898201.